Sweet children, only by having yoga will you receive strength: the old habits of many births will be removed and you will imbibe all virtues. Therefore, remember the Father as much as possible. Which race are you children now running? When do you get tired in this race? You children are now running the race to become beads of the rosary of victory. In this race, some children run very well and others become tired. The reason for becoming tired is that you do not pay full attention to the study. Your manners do not become reformed either. There is doubt as to whether such children will be able to stay here in the future. Because of being influenced by lust or anger, you have tiredness and you then say that you are unable to climb any more, that you will see what happens. This too is a wonder. Someone made me belong to Him and taught me how to smile! God speaks. It has been explained to you children that neither human beings nor deities can ever be called God. There is just the one God whose temples continue to be built. He is called Shiva or Somnath. He comes and says to you children: Sweetest children, remember Me in that home of Mine. I am the Resident of the supreme abode. I come here and enter this body and tell you: You have to remember Me in the place to where you have to return. It isn't that you have to remember Me here. I have come here to connect the intellects of you children in yoga with that place. O children, remember Me in My home, the supreme abode. You understand how each one's sanskars in this tamoguni world are so different. Those who imbibe knowledge well would surely be called good. Some are such that no matter how much you beat your head, they just don't reform themselves; they don't follow shrimat. It is understood of them that they are great sinners like Ajamil. If someone doesn't study, he or she will become degraded and attain a low status. There are three types of status: highest, middle and lowest. For those who don't follow shrimat, it should be understood that they are even worse than the greatest sinner Ajamil. They have been committing such sins for birth after birth. Although this may be a good birth for someone and not so good for someone else, everyone can go very high by studying. You children now know how you have been around the cycle of 84 births. We are studying to claim a high status in the future. The Father says: Look at your behaviour in the mirror of your heart. Baba repeatedly tells you children: Reform your behaviour. Those who believe that they are becoming worthy of heaven also make others the same. There is a lot of difference in their behaviour. You have to show the manners of a deity here. By showing devilish behaviour, your status will be destroyed. In fact, all of us were buried in the graveyard. Ravan had buried us in the graveyard. The Father came and removed us from the grave. The world is a graveyard at this time and Bharat is number one in that. At first, it was the number one land of angels (paristhan) and it is now the graveyard (kabristhan). The Father explains: Look at your face. Are you worthy of interacting in a divine way? Do you believe that you are following shrimat? Are you developing virtues the same as Mama, Baba and the special children? Let alone lust, check: Do I have the evil spirit of anger in me? Both of these evil spirits are very bad. With anger you burn one another. It is a very big enemy; you have to chase it away. Check: Do I have any defects in me? If I am not following shrimat, I would totally destroy everything (all truth). 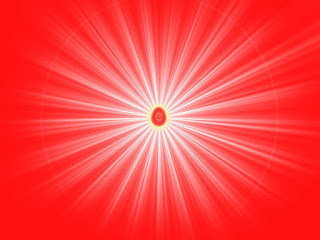 Shrimat is received so that the soul becomes good and that then becomes imperishable. Unless there is yoga, there cannot be any reformation. The more you remember Baba, the more strength you will receive. If you don't imbibe virtues, Maya will slap you at every step. Someone would promise that he will not become angry, but then, five minutes later he would become angry. Strong habits of many births have been formed and so it does take time to remove them. These evil spirits have to be totally controlled. Greed and attachment are their little children. The evil spirits of the vices are also numberwise. First of all, there is impure arrogance and then there are lust, anger etc. No one else can give these teachings. Therefore, children, become soul conscious! Remember the incorporeal One. Sannyasis consider themselves to be the Supreme Soul: They say that each soul is the Supreme Soul. The Father says: You are bodiless souls, not bodiless Supreme Souls. How could there be so many Supreme Souls? God is beyond birth and death. He is called the Supreme Father, the Supreme Soul. He sits here and says to you children: Now make effort quickly! Death can come at any time and you won't then be able to do anything. There will continue to be many types of accidents. Calamities are also about to come. Whilst saying, "Today, tomorrow, today, tomorrow", you may die and you then won't be able to claim a status. Worthy children are obedient and faithful to Shiv Baba. The Father knows all the children. Ravan has made everyone completely dirty. This is called the devil world. He is now making you into deities. You will become that if you follow shrimat. They teach children at school and they also teach them manners. You learn manners here too. The main thing is divine behaviour. Impure arrogance is very bad; it makes everyone fall. You then become body conscious again and again. The Father says: Consider yourselves to be souls and remember Me and you will come to Me. Maya has cut off everyone's wings; no one can go back home. Otherwise, souls can fly so fast. However, no one can go back to the supreme abode. No one, except the Purifier Father, can take anyone back to the incorporeal world; nor can anyone go to the pure corporeal world. People don't understand the coming and going. Since destruction is to take place, the Father will take everyone back like a swarm of mosquitoes. What will happen then? They don't understand anything. The Father has come to establish the original eternal deity religion of the new world. No one understands that the God of the Gita established the kingdom of Lakshmi and Narayan. At the time of the Mahabharat War, Rudra truly created the sacrificial fire of knowledge from which the flames of destruction emerged and the world was destroyed. 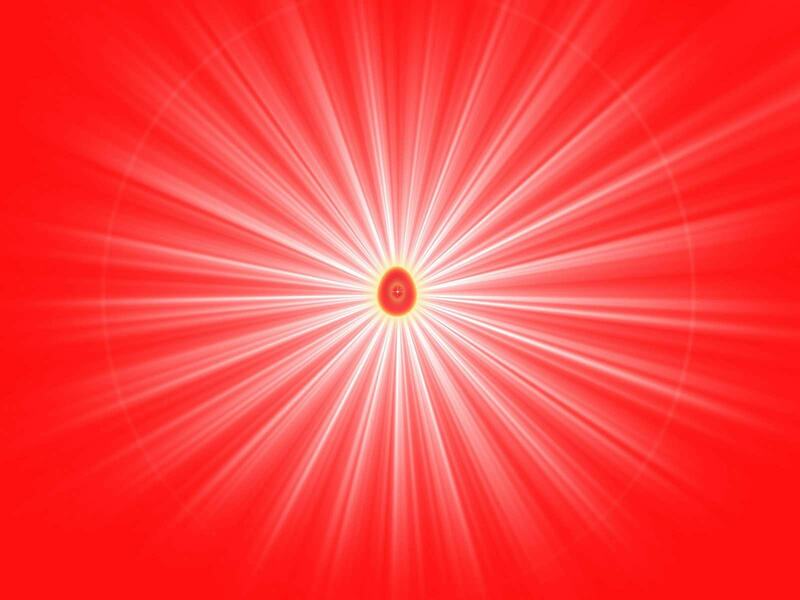 Those to whom He taught Raja Yoga became Lakshmi and Narayan, the kings of kings. You know we are studying with God. We are studying and becoming the masters of heaven. Previously, there was the Christian kingdom (Government). Now, the people of Bharat believe that they are the masters. However, you know that you become the masters of the whole world. The Father Himself comes and changes human beings into deities. It isn't in anyone's intellect how or when He changed human beings into deities. Although they study the Granth, they don't understand anything. You can now explain to them. You children have to imbibe divine virtues and follow shrimat. Otherwise, your wings will be broken. When you imbibe knowledge fully, divine manners will also develop. All human beings are body conscious. They have one defect or another. The Father explains to you very well. “God speaks” is also mentioned in the Gita. He says: O children, I have come to teach you. You are becoming judges and barristers etc. I have come once again to make you into the masters of heaven. I am the Creator of heaven. I come and make you children into the masters of heaven every cycle. At this time you are becoming greatly fortunate. This play is like that. Maya makes you unfortunate. It is numberwise; some are 100%, others, 90%, others 80%. The more someone studies, the more he is able to show that. You have to have the concern to be threaded as number one in the rosary of Rudra. When those students are transferred, they go from one class and sit in another class. They receive a number according to the marks they receive. Then they are transferred accordingly. Here, too, you souls study and become threaded in the rosary of Rudra, numberwise. Their (souls) genealogical tree is big. Then, from there, you will become the rosary of victory of Vishnu and sit on the throne, numberwise. You are Brahma Kumars and Kumaris but, at this time, there is no rosary of you because a race is taking place. Today someone is racing ahead very well and tomorrow he stops running. Today he calls Him Father and tomorrow he divorces Him. Many have doubts. They neither study nor imbibe manners and so they become distressed and then try to run away; they divorce Baba. There are some children at many centres who believe that they have become tired, that they won't be able to climb any more and that they will see what happens. Then they say: Whatever is going to happen will be seen… The number one enemy, lust, causes a lot of trouble. Even those with anger are troubled and divorce the Father. It is a wonder! The Bridegroom, the God of the devotees, comes to teach you and make you into beautiful flowers and yet you divorce Him! The Father, the Bridegroom, never divorces anyone. The brides divorce Him and run away and so what can the Father do? They become traitors. The Father says: I am your Bridegroom. I have come to make you into empresses of heaven. I have come to remove you from this jail of Ravan and to take you to the cottage free from sorrow. In spite of that, you don't follow shrimat and you go to Ravan’s side. Many people turn back from their pilgrimages; they don't go with an honest heart in the first place. Baba is now taking you on a spiritual pilgrimage. You know that souls will shed their bodies and go back to the supreme abode. They will then come and claim their status according to the efforts they made. You can understand what status you will claim according to your behaviour. On the path of ignorance too, some children are obedient and follow their father’s orders whereas others cannot see clearly. It is the same here; no matter how much you explain to them, they don’t stop being stubborn. There are such unworthy ones too. They don't understand what status they will receive under those conditions. Baba repeatedly explains to you, but you still forget. When they are in the jail of a womb they make promises to change, but when they come out they become as they were before. Here, as well, some children are such that nothing sits in their intellects; it is numberwise. It can be understood whether someone is a Godly nightingale or not. It is always the worthy children who remain engaged in service that climb into the heart. You know that you have sacrificed your body; why should you keep it? The mother and father don't tell you to do service day and night. You may rest for eight hours and do service for eight hours. For the remaining eight hours, remember the Father. It doesn't take long to explain the pictures to anyone. That Shiv Baba is your Father and we incorporeal souls are His children. Have you ever heard the name of the Supreme Father, the Supreme Soul? Truly, the Supreme Father, the Supreme Soul, sits here and establishes the new human world through Prajapita Brahma. He makes the old world new. You receive property from that Grandfather. He says: Simply remember Me! All devotees remember that Father: Come and liberate us from this sorrow! He comes and enters Brahma to give you children your inheritance. He says: I will make you souls pure through this one, teach you knowledge and yoga for the kingdom and take you back with Me. Then, from there, I will send you to heaven. Those who do something receive the reward of it. The Father explains so much. The ways and means of the Father are unique! Look how He grants salvation to everyone and how He establishes the kingdom! This is why He is praised. The world doesn't know at all how the Father gives shrimat or what He changes us into from what we were. Therefore, you should remember such a Father. By following His directions, you will become like Lakshmi and Narayan. It has been said that even if Brahma were to come down… It is the same here. Some don't even know Shiv Baba at all. Simply by saying, "Mama, Baba," no one can climb into their hearts. Mama and Baba know who belong to them and what they will become. What will you become if you don't study? Everything can be understood from each one's activities. There isn't any other study from which you could tell how you experience your 84 births. I am teaching you Raja Yoga to make you into princes and princesses of the future. This father also says: Therefore, you should make effort. The whole kingdom is being created now. It isn't that if you fail once, you will be able to study again. A kingdom is being established here. You are given a vision of all the different types of status and this is why you should follow shrimat. The directions of Brahma are also well known. There are the directions of Shri Shiva, you are not going to receive directions from Shri Krishna. There, you simply experience your reward. There, everyone has good directions anyway. There is just the question of a high or low status. The king is king and the subjects are subjects. An obedient child is one who follows shrimat and makes full effort and glorifies the Father's name. Achcha. BapDada's love, remembrance and good morning to the sweetest long-lost and now-found children. After giving love and remembrance, Baba asks you children, who are the decoration of the Brahmin clan, the spinners of the discus of self-realisation, tell Me: Do you love Shiv Baba as far as the sky or as far as the brahm element? Tell Me how much each of you loves Me. Achcha. The spiritual Father says namaste to the spiritual children. 1. Become a Godly nightingale and glorify the Father's name. Imbibe knowledge and make your manners very good. 2. Race to be threaded in the rosary of victory.Never become fed up or tired of Brahmin life.Constantly follow shrimat. May you be garlanded by matter with the garland of co-operation by staying in the stage of a master and become a conqueror of matter. Matter is now invoking you masters. In all directions, the elements of nature will be creating upheaval but where you masters of matter are, nature will become your servant and serve you. You simply have to become conquerors of matter and nature will garland you with the garland of co-operation. Wherever you Brahmins who are the masters of matter place your feet and wherever your places are, there cannot be any damage there. There will be storms and tremors, but externally, it would be like a crucifix and here, it would be like a thorn. Everyone will come running to you for physical and subtle support. In order to experience happiness beyond this world and sweetness in the mind, stay in the stage of “Manmanabhav”.